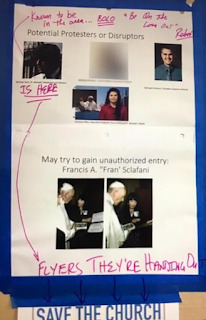 You know how we have joked around that the diocese circulates wanted posters of whistleblowers? "BOLO", "Be on the lookout". But...wait...wasn't this a convocation that required humility to hear the anguish of ALL voices? The United States Conference of Catholic Bishops is staging a major convocation of laity, clergy and religious in Orlando over the July 4 holiday. Carolyn Woo, former CEO of Catholic Relief Services, says if the gathering's to be effective, it will require the humility to include the voices of all, including those who've been hurt by the Church. But the USCCB is incapable of "humility" and the convocation was not open to hearing the voices of "all". In preparation for this gathering, I call to mind the voices and anguish of a few people. One is a good friend, a woman in her seventies..Her disappointment is not focused on the issue of women’s ordination, but more with the brushing away of women’s voices, cold shoulders to women’s desire to participate in decision-making, and the utilization of women’s labor but not their thoughts or voices. Second is a young man in his late twenties, well-schooled in the study of theology with a Bachelor and Masters in the field. He is re-thinking his vocation as a faculty member in Catholic high schools.He is aware that some of his students are gay, or wrestling with their sexual identity... who needed to know where the Church would meet them and whether they are loved for who they are..He felt that his students deserved more than just an articulation of Church teaching. The third person who comes to mind..But he was advised that any efforts that support gay people, including this anti-violence initiative, can be scandalous to the Church, equivalent to calling something evil good...He had to reconcile the Gospel message of God’s love for all with this exclusion. It was a gathering of the 'few' old sea hags and gays in the pews who drone on and on, ad nauseam, with the same old tired character assassinations of Church teaching. What about the people who feel anguish every time we are held hostage to voices telling wounded people the Church excludes them? 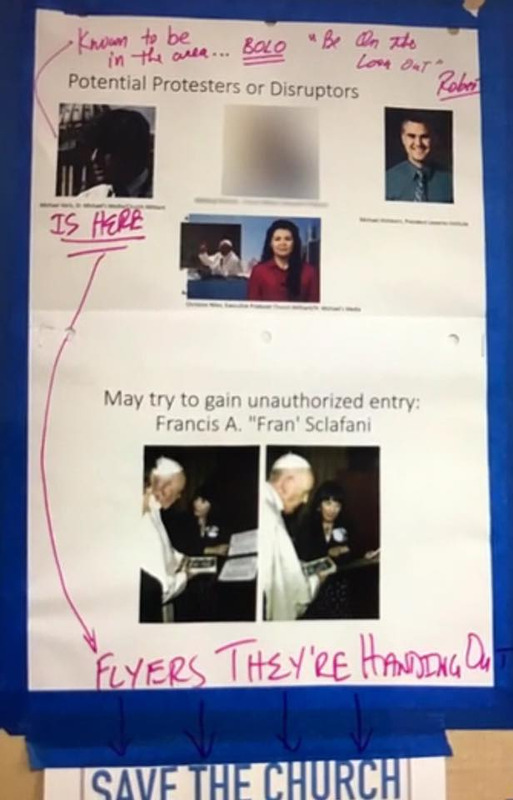 It is dishonest and dishonorable for the USCCB to say they want to hear the voices of ALL and then create wanted posters of people they intend to exclude. And the Pope is no better. The bishops keep saying they want to stop people from thinking the Church hates women and gays but continuously sponsor events that tell people the Church hates women and gays. BOLO fire and brimstone disneychurch. Rejoice and be glad, Michael Voris et al. The focus of the conference was the need for "unity" among pro-lifers and "social justice" types. The Dirty Little Secret is that the cause of any "disunity" is that the Catholic Left is pro-abortion. They should have BOLO for God who certainly would have been banned from this event. I am dismayed to see Johnette Benkovic participated in this. Has EWTN gone deaf, dumb, and blind? I guess it's just easier on the wallet to pretend all is well, noting to see here. Very disappointing to say the least. We have stopped looking for authentic Catholicism, only happy happy talk talk. Barron got her in. Any conservative would have had to get in through him. So bizarre. What a massive waste of $$$$ that silly "convocation" was. Love that word Fornit James-bizarre!! Conclusion of the Convocation: we as church need to learn how to activate accompaniment as we encounter the other along the pilgrim journey as we continually discover and renew the joy of the gospel message.